With a slight chill in the fresh air upstate, you visit pumpkin patch farms and go apple and pumpkin picking at orchards in less than two hours from New York City. Weekend are made more fun by this seasonal activity – pumpkin and apple picking are a fun way to spend the day with the kids in the fall. The Hudson River Valley, including Putnam, Orange, Duchess and Ulster Counties, is chock full of orchard and farm stops. You can get there via the New York State Thruway or via Metro North’s Hudson Line train from Grand Central Station in Manhattan to Poughkeepsie where you can take a taxi or Uber to rent a car for the day from a nearby Enterprise location. The Mid-Hudson Children’s Museum and restaurants with river views are adjacent to the Poughkeepsie train station. Most venues are open weekends or daily until dusk from mid-September to mid-October. Apple picking starts in late summer while pumpkins become available later, usually by early October. For example you might try Hurds Family Farm in Modena, NY, Lawrence Farm Orchards in Newburgh or DuBois Farms in Highland. You might decide to choose the perfect pumpkin patch and find multicolored squash to decorate your home or pick your favorite varieties of apples for homemade apple sauce, apple pie or just to munch on fresh from the trees before the fruit makes it to market. 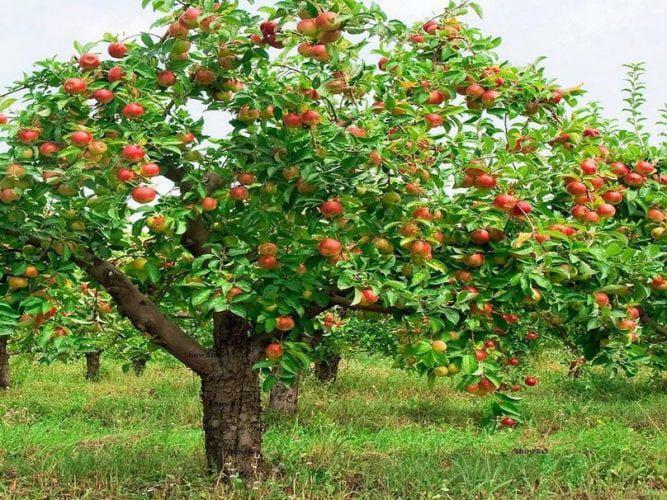 Apple trees are short so the fruits hang low enough for older children to reach. Small children can reach while riding piggyback or on an adult’s shoulders. Both Hurds Farm and the amazing Mohonk Nature Preserve can be found just west of Poughkeepsie and the Thruway. For more adventurous and energetic folks, Mohonk lies in the Catskill Mountains and boasts wonderful hiking trails with breathtaking views from higher elevations. Hunter Mountain hosts Oktoberfest celebrations on weekends from late September through October. A bit further north you’ll find two different farms, Fraleigh’s Rose Hill and Greig Farm in Red Hook, NY, the Hahn Farm for pumpkins in Salt Point and Cedar Heights Orchard in Rhinebeck. All of these are easily accessible both from the Thruway and from the scenic Taconic Parkway. The Finger Lakes region of western New York is also home to many fine apple orchards and cider making operations that welcome visitors, particularly around the beautiful Seneca Lake and Cayuga Lake, the latter with Cornell University and Ithaca at its southern tip. The Finger Lakes are easily accessible from Buffalo, NY and most of northern Pennsylvania. Fall foliage colors are near their peak and most beautiful in the Catskills and Finger Lakes during October. Peak autumn “leaf peeping” arrives earlier -- in late September -- farther north in the Adirondacks, where the High Peaks region offers perhaps the most spectacular and stunning vistas. In the Champlain Valley region to the east you can enjoy views of both the Green Mountains of Vermont and the Adirondacks, perhaps from a 20-minute ferry ride across Lake Champlain from tiny Essex, NY to Charlotte, VT. Much closer to NYC, you can take in a weekend Oktoberfest celebration and see the changing leaves at Bear Mountain State Park and West Point, the U.S. Army academy.